This is a step-by-step guide for creating a building block. If you haven't registered a provider account yet, or wish to use a new provider for the building block, register a provider now. Any data refining service available in the CNS marketplace can be published as a building block by anyone. This can be done simply by obtaining access to an existing data refining service in the CNS marketplace and allowing others to use it via an automatically generated REST API. In other words, the one who publishes a building block and pays for possible related costs does not need to be the original developer – it can be e.g. a city that wants to make a nice BB available to citizens for free. The following steps describe this process. Step 1. 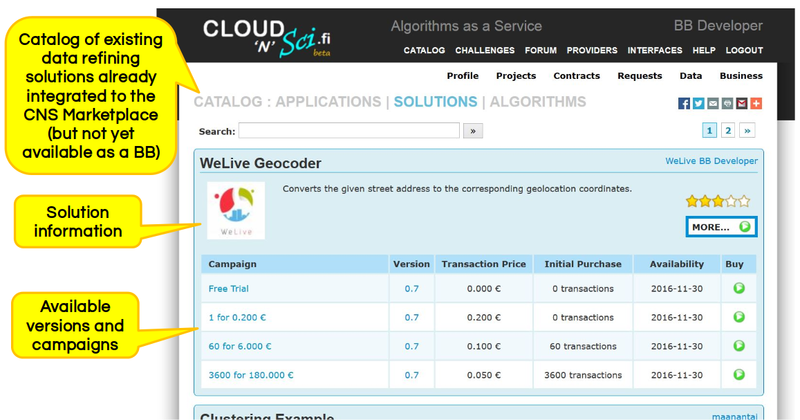 Choose a solution for the building block from the catalog. If you wish to create your own solution for the building block, see our Creating a solution guide. Step 2. 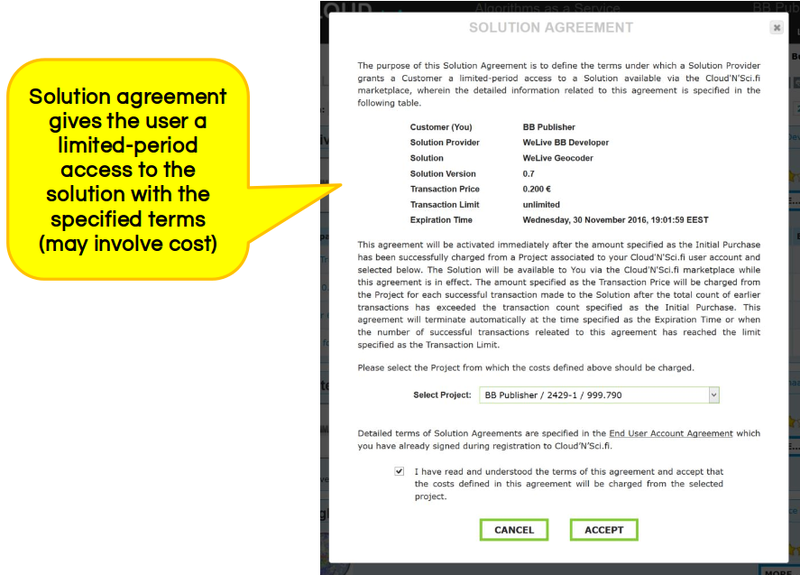 Sign the solution agreement for the solution. Step 3. Create the building block under your provider account in My Business page and add the signed contract to the 'Features' list. To use your building block, see our Using a building block guide.